"Why is your R2-D2 yellow?" 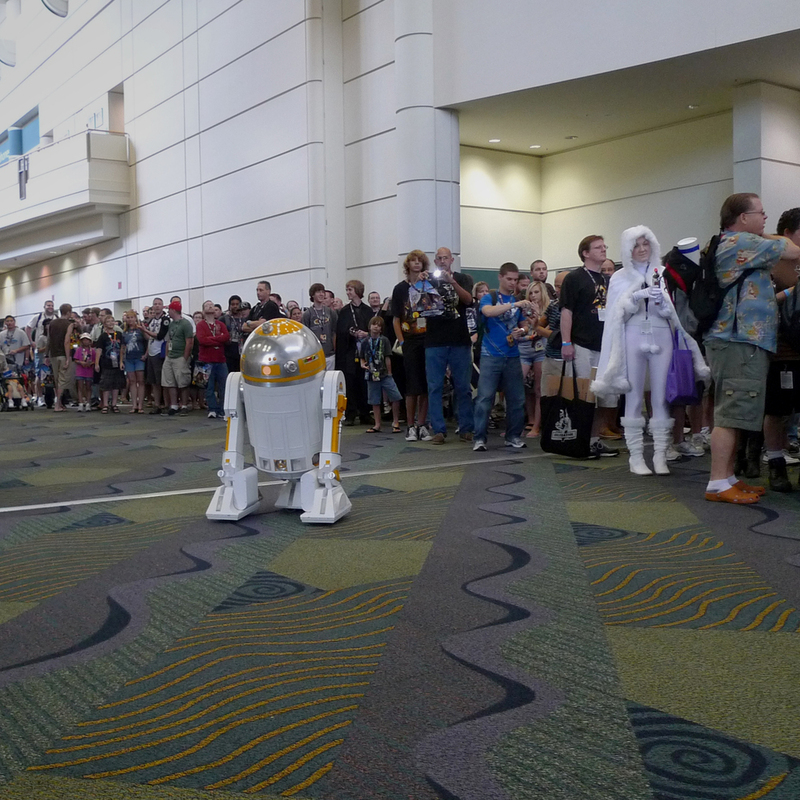 Aluminum R2-D3 at CV, Orlando in 2010. The unconventional color scheme of R2-D3 has always caused a bit of confusion. Die-hard Star Wars fans can tell you what his name is and can pinpoint what movie he appeared in. To make things more interesting, this droid is sometimes referred to as R2-C4. In the end, I usually explain that he is a "background droid" from Episode 1 and that seems to clear things up, for the most part. It was 2006 when I began construction on my first R2-D3. In spring of the following year, I completed him and hauled him from Tulsa to Los Angeles for CIV. This was his first public appearance. A few years later I shipped him to Orlando for CV which was an event I really enjoyed, especially since I didn't have to drive the droid in myself. One of the things I learned along the way is that droid weight is an issue for me. This all metal droid clocked in at roughly 200 pounds, which is not uncommon. So I began to think about building a lighter droid. Greeting fans at CV, Orlando 2010. With Kenny Baker at CIV, Los Angeles in 2007. 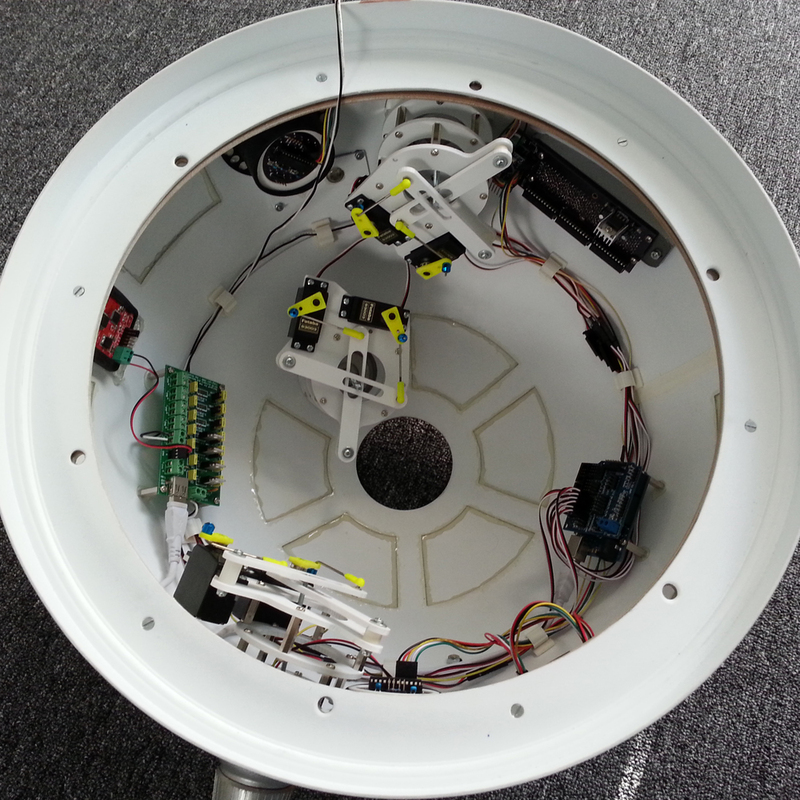 Lighter materials and updated electronics create a roadworthy Astromech. The two main materials used for my second R2-D3 are styrene and resin. Both of these materials have their quirks, but they are easy to work with and inexpensive in comparison to aluminum. Also quite a bit lighter, though some of the resin parts can get a little heavy. From beginning to end, the build time on this project was approximately 18 months. There was a lot of extra time spent on building sections of the droid that would have normally been handled by a machine shop. 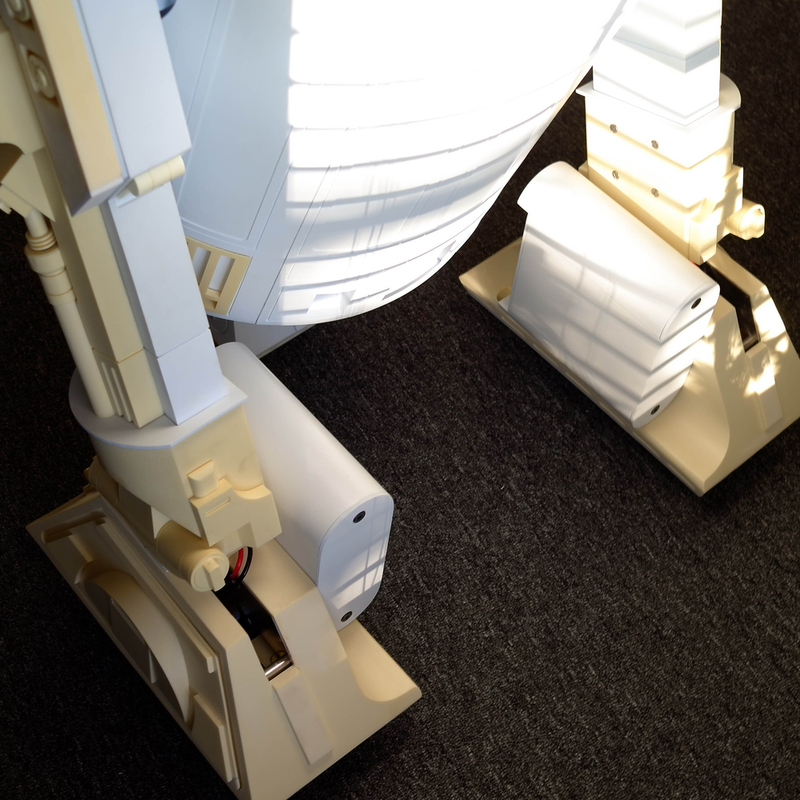 For example, the legs were built out of sheets of styrene as well as several other sections. All of the resin parts and some of the styrene elements (dome, skins and frame) were purchased from approved suppliers from Astromech.net. Several different vendors were used and all of the parts were exceptionally well made. Almost every exposed surface on this build is painted. All of the painting was done using "rattle cans", most of which were purchased at Lowes and Auto Zone. Painting is a huge part of any Astromech build, especially a non-metal Astromech. Many times I get asked "Did you build your droid from a kit?" And my answer is always "No." Most parts are purchased separately from different approved vendors. One must do their homework in terms of what goes where, how to attach parts, what type of paint to use and how the electronics are hooked up. There is more than one way to do all of these things. Some work better than others. I highly recommend logging in to Astromech.net. Here you will find an astounding amount of information regarding every possible subject related to droid building. You can spend months on this website absorbing all of the information available. And there is a lot of information. 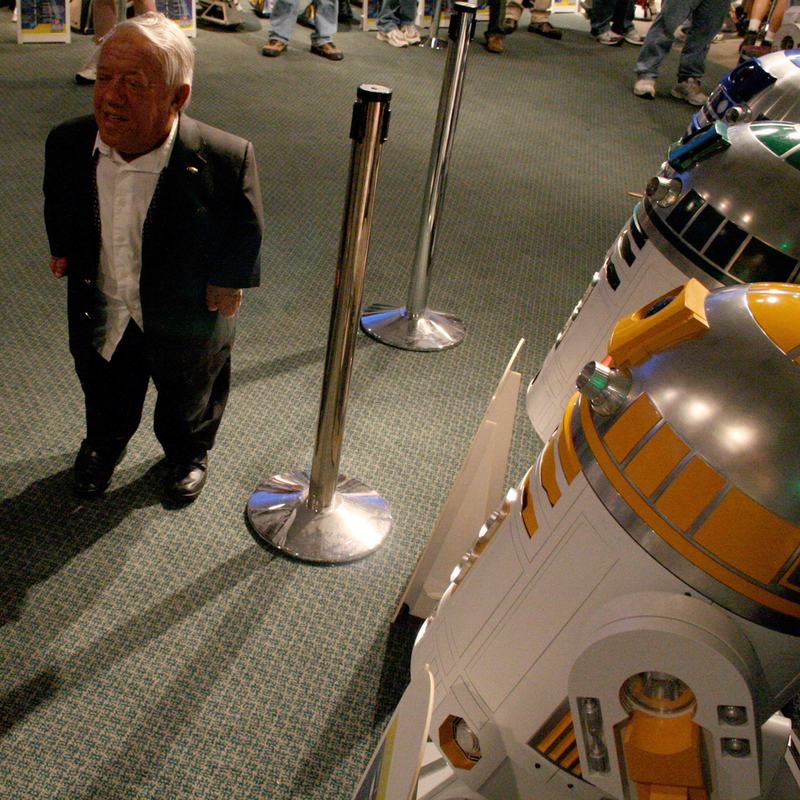 Star Wars and R2-D3 are registered trademarks of Lucasfilm Ltd.
Want your own droid? Then go here: Astromech.net.